Clement Rohee and Patrick Mentore: Criminals Overseeing Police? Jagdeo-PPPC Cabal Criminals Overseeing Police? Georgetown, Guyana: June 25, 2013 – Guyana’s Attorney General Anil Nandlall admitted today what even those paying mild attention to the PPPC government already know: the PPPC government does not have the WILL to prosecute big criminal fish, including money launderers and narco-traffickers. Indeed, many of these criminals are political cronies of the Jagdeo-PPPC cabal, fully embraced, employed and partnered with the PPPC regime; they are safe from honest Guyanese police. Guyana is the mecca fuh typee. With all the technology men still getting uncontrollably angry when they binnie not crossing their legs and keeping their chastity belts up. And you cant say is young boys alone; is everybody. A Vincentian woman 90 days ago, shoot and kill instantly her Gt beau and toothless one-year old baby because a woman call and ask fuh some fine things. This writer knows of three real time incidents of women attempting suicide on behalf of now deceased Cousin Wia; only one get thru. Recently, the leadership of APNU has been coming in for some all-round battering, largely I believe because it has not developed and/or has not been able to transmit an acceptable vision of the future, and its political antics have left many confused and with the belief that the party is comfortable with its new parliamentary stature. This may not be the case but politics is about perceptions and there is little doubt that this is the widespread perception of APNU today. And if the raw materials are bad so too will be the end product. The pregnant baby-mother of the son of Transport Minister Robeson Benn, has been set up for a bamboo wedding any day now if he is to escape a jail time and further fracturing of his family’s normally stellar reputation. Stick bruk in black people ears and celibacy should be encouraged. Masturbation may cause blindness but in this corrupt and mischievous admin knows a thing or two about hurting and rescuing. JUSTICE DELAYED IS TANTAMOUNT TO JUSTICE DENIED. Amazingly….if a Blackman steals a bar of soap or infects/affects a woman from behind he is jailed and or court martialled in ‘oh-beautiful Guyana. Amerindians now are coming under intense pressure in the Rupununi as they collate and co-operate to stave out the PPP who they claim are treating them like pets. The Rupununi is big open country. The Amerindians claim the PPP may mean well but unfortunately do not think well. First things first: A little known history fact…King Fighter…Shurland Wilson is a Victorian…born and raised. The traditional annual breakfast of the PRV…PEOPLE’S REPUBLIC OF VICTORIA normally held this time of year…give and take a few days, has been pushed back for the first time to CARIBANNA weekend in August. The organizing committee has problems finding the ingredients….the roti with the elephant on the package and items that promote nocturnal emissions. The PRV is also burying comrades ….an average of a baker’s dozen each month and nocturnal emissions are simply not keeping up. Former Health Minister Dr Richard Van West Charles buried his dad – Maurice Charles – who died in Canada after a brief illness. His Excellency Mr. Maurice Charles was Canada’s first black judge and has been credited for opening many a door for other ethnic minorities globally in the land of the Maple Leaf. Here is a brief extract of his life and times over 50 years on the bench. 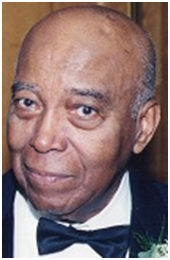 Maurice Charles, who in 1969 was named to the Ontario Court Bench making him Canada’s first Black judge, has died. The legal pioneer passed away last Friday at Toronto East General Hospital following complications from a stroke he suffered about a month ago. He was 92.